Home › Read Journals › Feb . 12, 2016 – Good morning to a Happy Dance Friday, folks! Feb . 12, 2016 – Good morning to a Happy Dance Friday, folks! 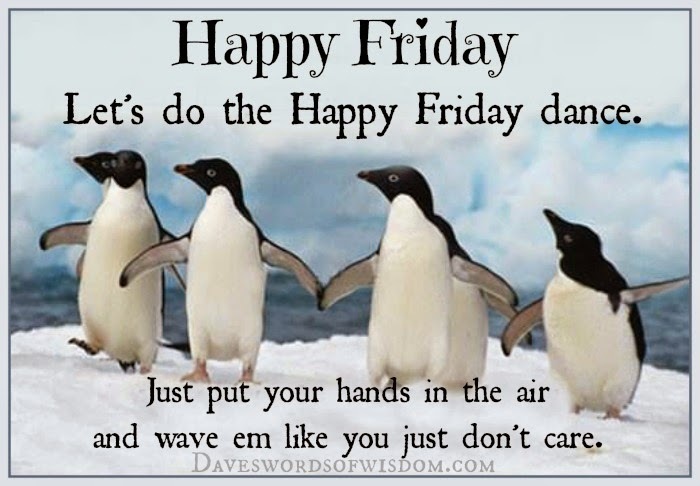 Good morning and let’s get the Happy Dance Friday going, folks! Make it a great and productive but sane and paced day, and let NO ONE and NOTHING have the control to make it less!